How is the seat clearance when the seat is all the way forward? Is anyone in LA with this product available around end of April, would like to see this in person. good2go is local. I want to check it out myself. There's someone else that lives in NoHo that's part of the Lotus Club of SoCal that has the shifter installed in his car for a good 6months or so now. He's in the Facebook group/lurks the forums. Yep, I remembered someone in the LA club at the prior meeting in downtown already has one. I'm local also, and you guys are welcome to check it out. I might drive to Cars and Coffee in Aliso Viejo next Sat - it's been a while. I think you guys are talking about Kamsden from Yucaipa? I'll be at the Aliso Viejo on April 30th, would be cool to meet some of you, then headed back to the East Coast that evening. It will also give me an idea for our new CF seats and the space available. Now looking at the pics... Not sure whether I should install mine. Reverie XC bucket seat definitely gonna need heavy trimming.. Anybody with pic from stright above with seat all the way forward??? Regular seat will not go all the way forward, maybe the last 2 clicks. I am planning on trimming it. Omg that looks so freaking awesome. Especially in that color!! Finally, I picked up my car today - it was too rainy and crazy friday traffic yesterday. Just drove it home right now - click, click, click, and I was gone! I have the Lotus Probax Sport Seats and it cleared when the driver's seat is all the way forward without rubbing or touching the Alitech shifting housing. On the corner, it looks like it touches but it's not. It's just the viewing angle appeared overlapping as the housing is above the seat and the footing is narrow, allowing plenty of clearance. Sitting all the way back. OH, my freaking GOD!! The Alitech shifter totally transformed the Lotus driving experience. It shifts 1000% beter now. Just crazy, "King Kong ain't got nothing on me!" I have to agree with Harry's assessment: the shifting now (with the LETSLA) is freaking super fast, short, tight, mechanical, and with no play like a seriously stiff Munchkin virgin on speedballs! Last edited by good2go; 04-09-2016 at 11:38 AM. Reason: !!! This is how it looked during installation last week at A1. Thanks. Yeah, it was not a fun project as Harry had to do some customizing for perfect fitting. What a mess! That's why I go to Harry! Harry said it was easier to replace the radiator! OH, my freaking GOD!! The Alitech shifter totally transformed the Lotus driving experience. It shifts 1000% beter now. Just crazy, "King Kong ain't got nothing on me!" I noticed lots of clicking. It sounds like that noise is much more tinny and would get annoying after a while. Almost like something is loose? Maybe it's just the video. The tinny clinging noise came from the handbrake button which I pointed to at the end. I'll resolve it. 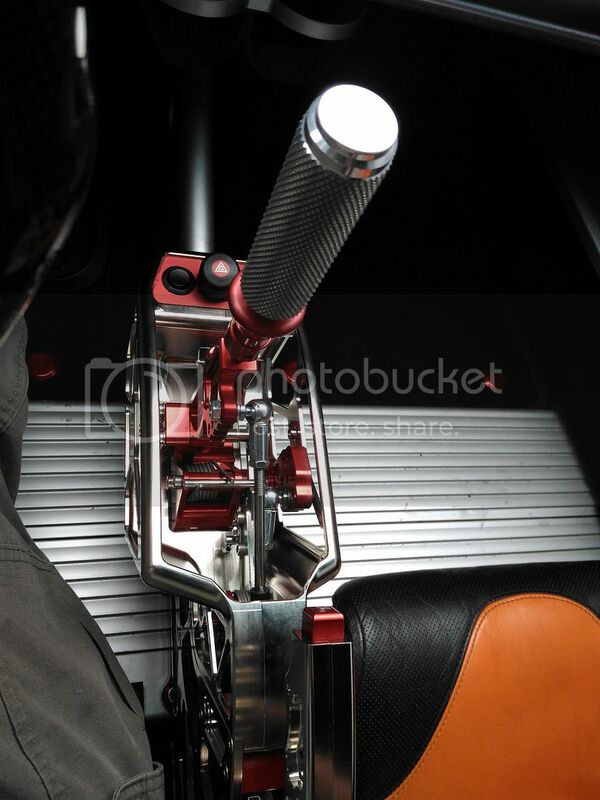 there is a sector 111 shifter that will be coming to market soon that will use the stock center console... sounds likes it's a month or two from being available though... sounds like it'll be cheaper than the Alithech shifter. I finally started with the install, but going really slow since I don't have the time to fully install it in one shot. I can't be the only one with this issue...damn you Lotus!! 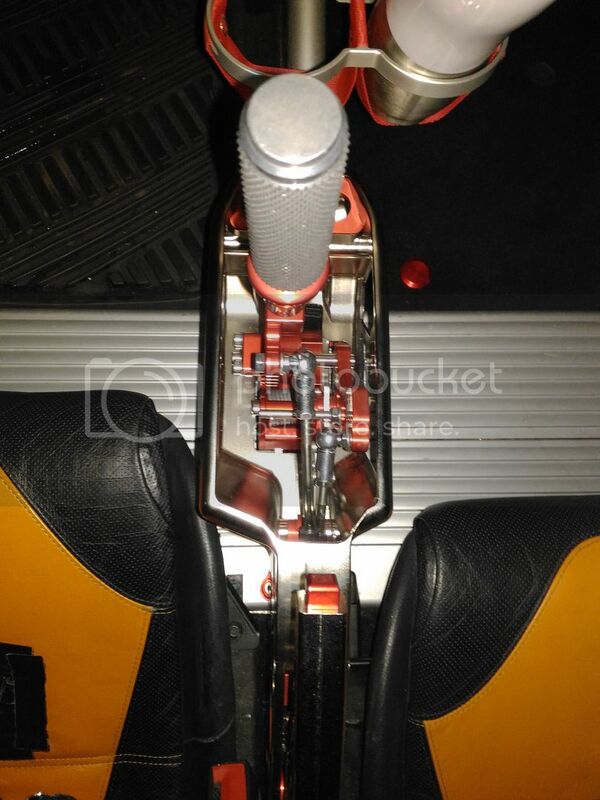 The original shifter housing/frame only had two bolts and 3 holes in the front, but the floor only has two holes! One on the driver's side and the middle. While Alitech's mounting bracket has three holes. It's like Lotus said F it with the third hole. I guess I'll have to drill one. Has anyone else experienced this with the install?